Publisher: Flipping Book Maker Ltd.
Today's paper will explore how to publish impressive search engine friendly online magazine and make your magazine searchable by Google, Bing & Yahoo. Many businesses have changed the content transformation platform, from printed to online page flipping digital book. They have lots of online digital book assets. These may include magazine, brochure, annual report, look book and so on. Publish these books to online is just a beginning, not the end. You still need to find a way to make more people know and read your book. For online magazine/brochure/catalog, make your book searchable and then let your book get found by Google, Bing & Yahoo is the way I suggested. How to make searchable online magazine? You should optimize your online magazine. However, not everyone has the time, budget and expertise to do that. How can I make searchable online magazines in the simplest way? 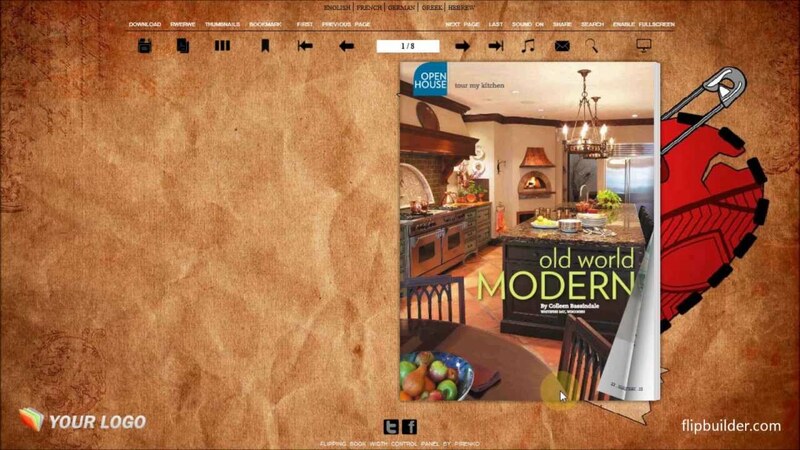 There is a fully functional and simple to use search engine friendly magazine maker: Flip PDF Professional software. With using this software, you can not only publish impressive search engine (Google, Bing & Yahoo) friendly online magazine, but also make your book easily search by people online. Some Tips of making searchable magazine with using Flip PDF Professional: 1. Enable full text search while designing Online magazine search feature allows readers to type relevant keywords to search the specific word, phrase and sentence. Check the enable search option before importing is necessary, or you cannot enable search feature. After imported, enable show search button on toolbar. 2. SEO HTML Meta Title and description Flip PDF Professional software integrates with upload online feature. You can directly publish online magazine with using this feature. The title and description of online magazine is the key for search. So before publish, you should define a SEO HTML Meta title and description, this action help to make your magazine searchable. Top 4 Download periodically updates software information of Free digital pdf catalog software 5.0.1 full version from the publisher, but some information may be slightly out-of-date. Using warez version, crack, warez passwords, patches, serial numbers, registration codes, key generator, pirate key, keymaker or keygen for Free digital pdf catalog software 5.0.1 license key is illegal and prevent future development of Free digital pdf catalog software 5.0.1. Download links are directly from our mirrors or publisher's website, Free digital pdf catalog software 5.0.1 torrent files or shared files from free file sharing and free upload services, including Rapidshare, HellShare, HotFile, FileServe, MegaUpload, YouSendIt, SendSpace, DepositFiles, Letitbit, MailBigFile, DropSend, MediaMax, LeapFile, zUpload, MyOtherDrive, DivShare or MediaFire, are not allowed! Your computer will be at risk getting infected with spyware, adware, viruses, worms, trojan horses, dialers, etc while you are searching and browsing these illegal sites which distribute a so called keygen, key generator, pirate key, serial number, warez full version or crack for Free digital pdf catalog software 5.0.1 download. These infections might corrupt your computer installation or breach your privacy. A keygen or key generator might contain a trojan horse opening a backdoor on your computer. Hackers can use this backdoor to take control of your computer, copy data from your computer or to use your computer to distribute viruses and spam to other people.